I am so blessed to have had the opportunity to join fifteen other Miami students for a unique, two-week study abroad experience in the Dominican Republic! Over J-Term, we studied poverty, leadership, and community development in Jarabacoa and Santo Domingo. Most of my time was spent in the schools of Anija and Miancerg. We played countless games of soccer and "caballito" (piggy back rides! ), laughed together on the playground, and sung and danced to silly songs. I was also able to assist in a reading intervention classroom and an English class! We really struggled in teaching them American tunes like "Row, row, row your boat" and "The Itsy Bitsy Spider." I know a bit of Spanish, but my translations were pretty rough! They couldn't stop laughing at our motions and we had a great time despite the language barrier. Every day was incredibly busy and very exhausting, but I also felt so spiritually renewed from the joy of the Lord! I've discovered that sometimes, God shows glimpses of Himself through unexpected people, in foreign places, and through unpredictable circumstances. 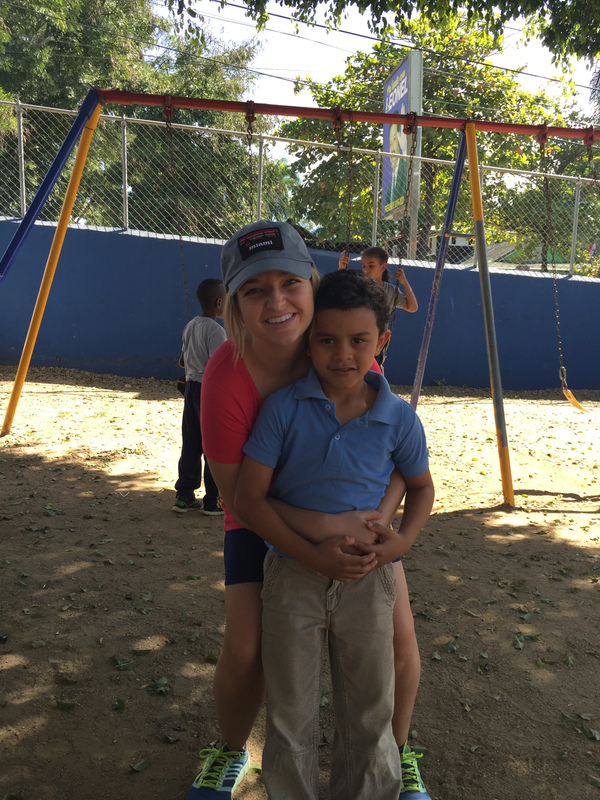 In a developing and impoverished country like the Dominican Republic, it is easy to spot differences, especially in what the country lacks compared to our own. It can be even easier to grow cynical towards these differences. "They need better leaders. They need better schools. They need better jobs. They need better health care. They need..." How ignorant I was, for they have so much. Often, we enter into these seemingly broken places hungry to repair their culture. Perhaps, in reality, we are the broken. We have distorted and manipulated views on who or what can truly bring us happiness. Dominican culture has taught me that to be poor does not mean being poor in spirit... Joy isn't based on circumstance—it's found in the Lord! I am so thankful that the Lord called me to the mountains of Jarabacoa and to the coast of Santo Domingo. There, I found that we Americans are quite similar to Dominicans... We're all just longing for a sense of community, a sense of belonging. We long for joy! God revealed to me that although we may create language barriers, His love has no boundaries...His grace conquers all! I may be in Dayton, or Oxford, or the Dominican Republic, but regardless of where my body resides, I am learning that my home is ultimately in Him. And honestly, there's no place I'd rather be! I pray that the Lord will continue faithfully opening doors, revealing to me the desires of and JOY of His own heart.